Choosing a third-party logistics partner is a responsibility of the operations department, correct? It depends on who you talk to. Nowadays, spend management professionals do more than deduce how much it costs to procure certain materials and determine how those goods are either contributing to or eating away at a company's profit margins. These specialists are responsible for estimating how much value partners and vendors can bring to a business' overall efficiency and operability. For merchants, selecting a third-party logistics company is a consideration that deserves heavy recognition. 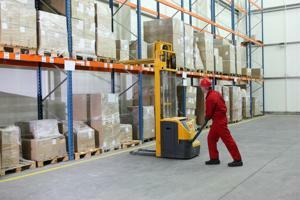 Distribution is an essential part of the modern retailer's operations, and can pose huge costs if a 3PL's processes and protocols are not designed for agility. The need for a supply chain partner that can respond to unforeseen demand for products and deliver them to e-commerce and brick-and-mortar customers in time is essential. India's e-commerce economy is gaining momentum, but retailer reputations are suffering as a result of poor logistics practices. Bloomberg Businessweek cited one particular incident in which Laxminarayan Krishnamurthy, who lives in Mumbai, ordered a Samsung Galaxy Core 2 smartphone for his wife and received a package containing only a brick and a bar of soap. The purchase was apparently made through New Delhi-based merchant Snapdeal.com. Is Snapdeal.com directly at fault? Again, it depends on who you speak with. Some would assert that Snapdeal.com is responsible for this mishap because it failed to properly vet its 3PL to ensure it possessed all the assets and personnel necessary to deliver items to customers. In general, a lack of a robust logistics economy is hindering India from becoming an e-commerce giant. The news source cited "inadequate warehouses, lack of skilled and reliable workers and too few planes" as the signature problems facing India's merchandising sector. If these issues were resolved, Web retailers have estimated that sales could increase 70 percent in 2015, making it a $6 billion industry. From a spend management expert's perspective, the aforementioned situation involving Krishnamurthy is completely unacceptable. Tangible financial losses aside, Snapdeal lost a customer who could have been at the center of a lengthy and profitable relationship. Worst of all, Krishnamurthy's comments regarding the ordeal were shared more than 21,000 times, reaching a large number of potential customers who may refrain from visiting Snapdeal.com in the future. This situation represents the true loss Snapdeal's logistics partner has imposed. Does it have enough assets? It's likely that merchants won't encounter a logistics provider that owns more warehouses than it needs. That being said, these buildings should be strategically placed in areas characterized by frequent commerce and consumerization. From there, visit a few of these facilities to get a sense of how the logistics company leverages technology and staff to expedite product delivery. Are its personnel capable? If a retailer speaks to truck drivers and distribution center employees who are knowledgeable about the business and have efficient communication skills, it's on the right track to finding a good 3PL. From there, merchants should speak with the 3PL's human resources department to understand the company's disciplinary policies, training initiatives and workflow habits. What technology does it use? IT assets can either make reporting, inventory management and product registration incredibly easy or painstakingly difficult. If the 3PL's use of software is conducive to distributing products in a lean, accurate fashion, then the merchant should press further to see if any faults exist.